Collection of display cases/storage units with a structure in dark brown anodized aluminium with highly finished details and tempered transparent extralight glass panels. 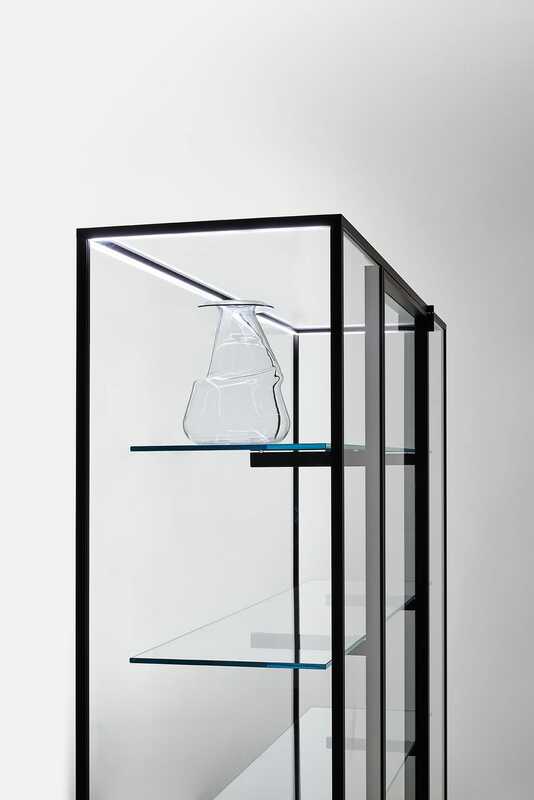 The base is covered with opaque lacquered glass. 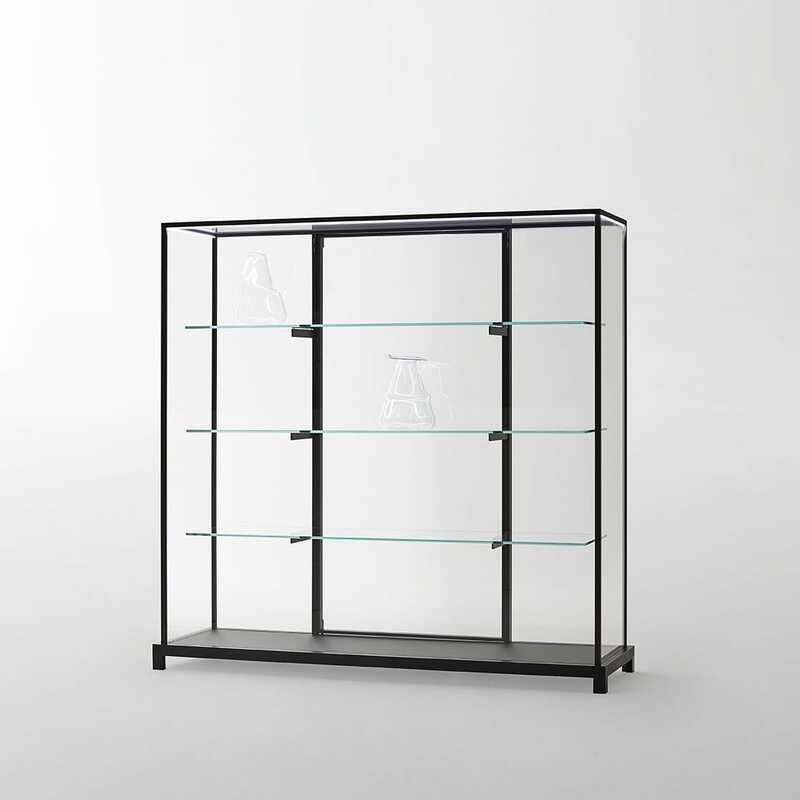 The shelves are supported by adjustable brackets fixed to two vertical pillars that are used as a striker for the door, which is supplied with fully adjustable hinges. These products, provided on demand with lock and completely disassembled, are perfect for museums and shop display uses. 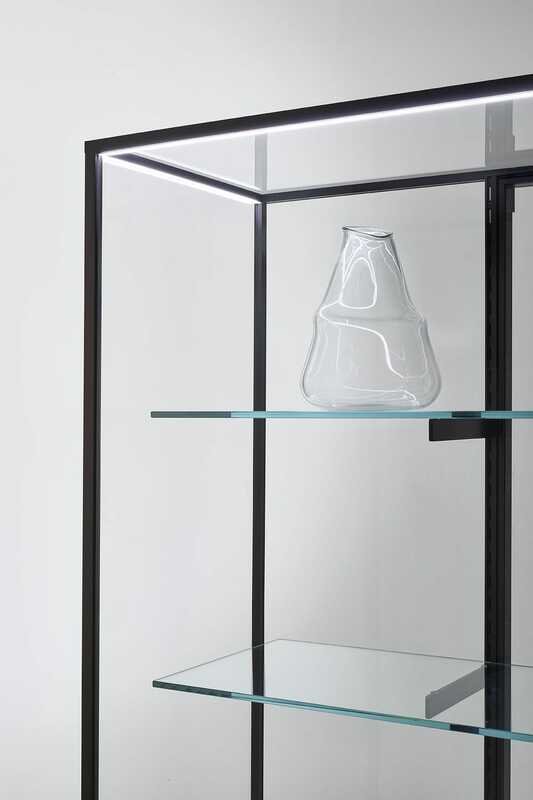 The transparent extralight glass and the thinness of the structure allow a perfect 360-degree visibility of the objects within. Available in custom size. Supplied optionally with a lighting system with high colour performance, completely integrated into the profiles in the upper frame (light intensity 3500° k-20 W/m).